Have we lost? Because a lot of people think so. Earlier this year a book came out called The Benedict Option. It’s a runaway bestseller written by a famous former Evangelical named Rod Dreher. He basically says we’ve lost the culture war and radical change in lifestyle is needed if Christianity is going to survive in the West. And he’s right…most of the time. While Dreher’s call for a retreat into a kind quasi-monastic existence rings true on many levels, it misses a key ingredient that can change everything…Mary. 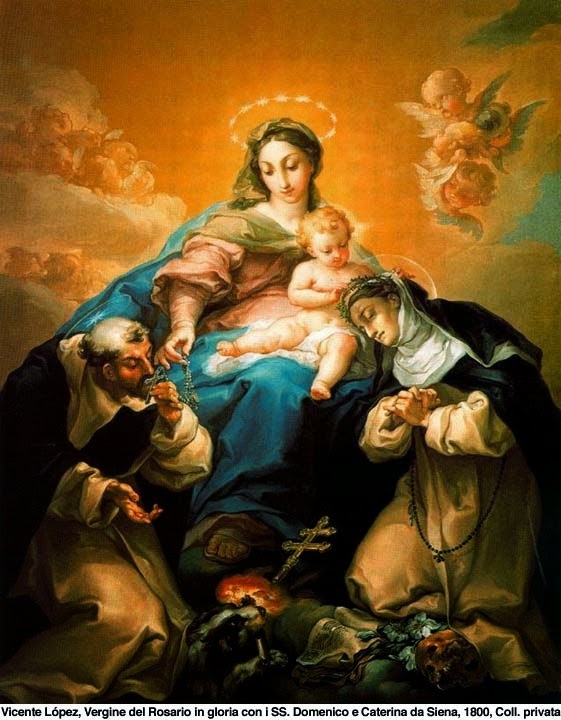 In this year of the 100th anniversary of the Fatima apparitions, she provides a little different slant…a Marian slant. Her new book “The Marian Option: God’s Solution to a Civilization in Crisis” presents what I think is Dreher’s missing link. If you don’t recognize the hand of Mary in our past then you can’t understand her pivotal role for our future. It’s a fantastic and illuminating discussion in which I’m betting you’ll learn a few things and gain some deeper insight into this transitional moment in human history. Because after my conversation with Carrie, the amazing Curtis Mitch will answer a very intriguing and bothersome question on our second installment of Next Level Scripture. CLICK HERE to grab your FREE copy of my quick guide to the amazing, undeniable parallels between Our Lady and the Ark of the Covenant in Sacred Scripture. It’s the perfect size to share with others who don’t appreciate Our Lady. Thank you Matt, Marian episodes are my favorite! 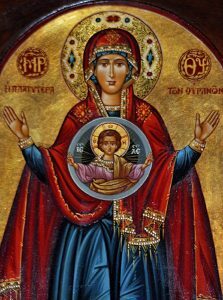 I have a question – could you please explain how we can say Mary is ‘all-holy’. So far I thought the prefix ‘all’ could only be used for God (all-powerful, all-knowing, etc) since only He is infinite. Hi Ashwith! Yes, only God is holy in and of himself (Rev 15:4). We become holy by participating in his holiness. Mary participates far more deeply than anyone else because of her role as Mother of God, and subsequently, her Immaculate Conception. She is without sin and therefore is intimately united to God. That’s why the Fathers called her the Ark of the New Covenant. Like the Ark, she was “overshadowed” by the Holy Spirit to be the “all holy” tabernacle of God. In order to carry the 2nd Person of the Trinity in her womb, she had to be a pure, holy vessel (similar to the Ark). So she was created by God to be “all holy” through his grace. God is holy in and of himself. Mary participates in it in a unique way through the grace of God for her particular role. God bless! I previously saw on your website a title concerning why kids stop going to Church. Cannot find it again. Can you help? Hi Jane. I believe I went over those statistics near the beginning of episode 67 (http://matthewsleonard.com/067/). Thank you for another great podcast, Matthew! Truly an illuminating and intelligent conversation. The first time I heard your voice I was hooked. Thank you for this incredible teaching clarification. I have always known that I was home. Meaning being catholic . May God bless you always! You are too kind, Celine:). God bless you and thanks for your very kind words. I just listened to the next level Scripture section again to take down notes and this is on Sunday midnight. Mass today morning is going to be a very different experience for me! It reminded me of another verse – Hebrews 10:31 – It is a fearful thing to fall into the hands of the living God.